Many processed meat-free alternatives, seen by some as a "healthier" option, are exceeding maximum recommended salt levels, with some being saltier than seawater, a campaign group has warned. 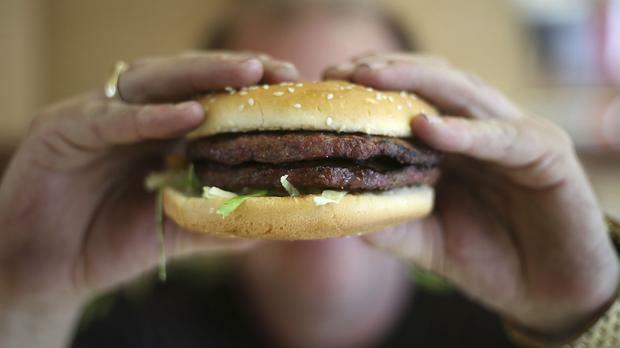 Action on Salt said that meat-free burgers contain on average more salt than real meat burgers. Beef burgers tested by Action on Salt, the expert group based at Queen Mary University of London, had an average salt content per serving of 0.75g, lower than that of meat free burgers at 0.89g. Meanwhile, many other products are exceeding maximum salt targets, it said. The campaign group has called for action from Public Health England (PHE) to address its concerns over meat-free products. It said that one in five of the products it tested do not have any front of pack colour-coded labelling. Action on Salt said processed meat alternatives, including meat free burgers, sausages and mince, are "concealing" high levels of salt after analysing information on 157 meat alternative products. It said the saltiest products in the survey - Tofurky's Deli Slices Hickory Smoked and Tesco's Meat Free 8 Bacon Style Rashers - both contain much more salt per 100g than seawater. There were large variations between products in the same category, it said. For instance, experts found an 83% difference between the saltiest and least salty meat-free mince products. "The food industry have ensured greater availability of meat-free alternatives, but now they must do more to ensure that meat free alternatives contain far less salt - at the very least lower than their meat equivalents," said Action on Salt nutritionist Mhairi Brown. "This survey drives home the urgent need for Public Health England to reinvigorate the UK's salt reduction strategy." Graham MacGregor, professor of cardiovascular medicine at Queen Mary University of London and chairman of the campaign group, added: "Reducing salt is the most cost-effective measure to reduce the number of people dying or suffering from entirely unnecessary strokes and heart disease. "Given the vast amounts of strokes and heart disease that could be avoided and huge savings to the NHS, it is incomprehensible that Public Health England are not doing more to reduce the amount of salt in our food. We are again calling on PHE to take urgent action." Professor Louis Levy, head of nutrition science at PHE, said: "Our salt consumption has decreased over the last decade but there is still a long way to go, as some foods still contain too much salt. "Government has been clear with the food industry on the importance of meeting the 2017 salt targets. Since taking over salt reduction, PHE has been collecting data on industry's progress and we'll report later this year as planned." Dietitian Orla Walsh: Which colourful foods should you be eating to protect your heart?